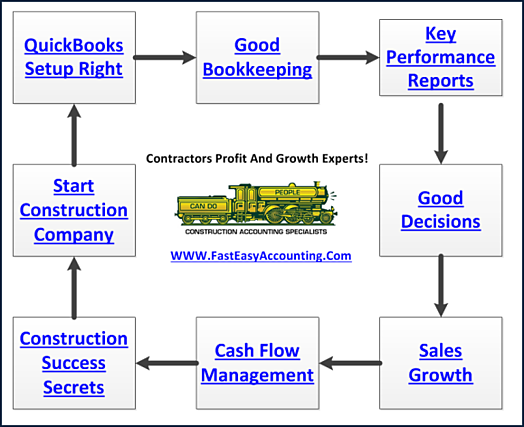 Although not intentional, this could be considered a part 2 of last Friday’s blog/podcast episode or a continuation post dedicated to all brand-new contractors who just started their own company, to trade professionals who would like to restart their bookkeeping system, or simply to all our valued email subscribers – old and new. The time, effort, and money you’ve put through in running your construction business is a testament of your commitment to this industry. So, let me start this guide by telling you to do what you do best and outsource the rest. 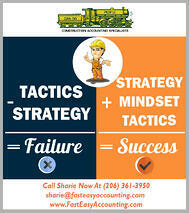 The “rest” as you know, is where your cash flow and profit depend – construction bookkeeping and accounting. Xero Accounting Online saves us time in data entry which means we can offer contractors bookkeeping services at substantial savings over QuickBooks bookkeeping services and provide more in-depth financial reporting with some of the reports being updated within seconds of when the transactions are received. Invoicing In The Field - when you or your employee finishes a job you can use your smartphone, tablet or web-enabled device to put together an invoice and if you are connected to the web Xero will have updated your Sales Report, Profit & Loss Report, Balance Sheet Report and a lot more reports before you finished reading this sentence. 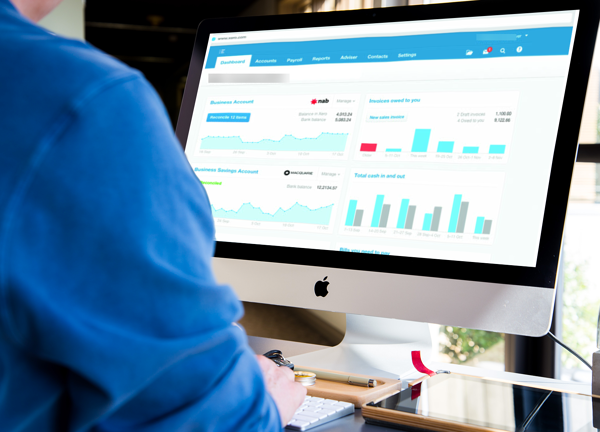 The Key To Making Xero Accounting Online Work is having it properly setup and maintained. 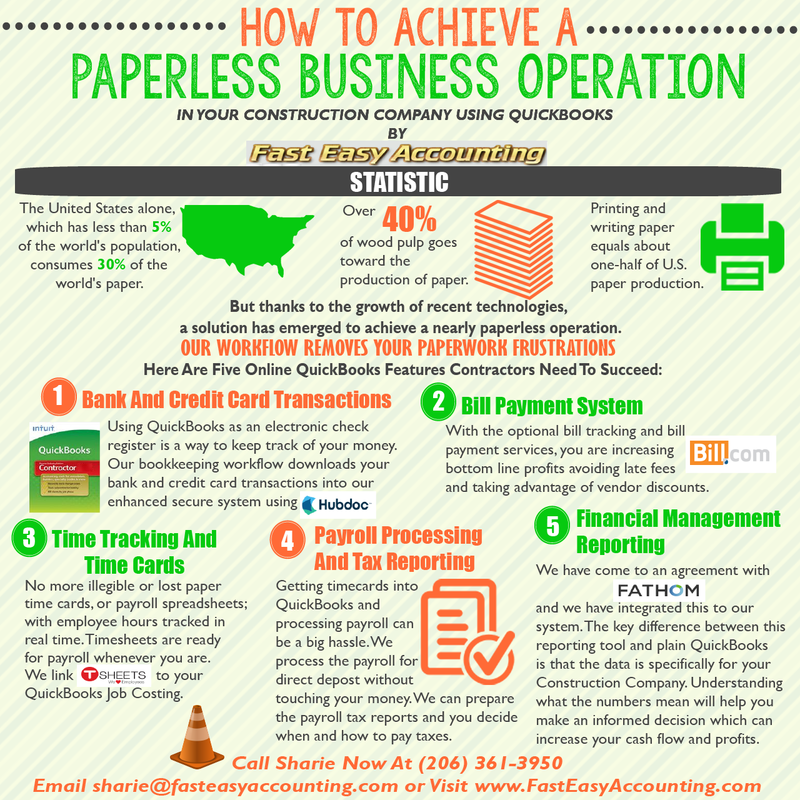 It is easy enough that anyone can setup the basic company file just like anyone can get on a backhoe and run it. Especially if you have watched the professionals do it for several years as I have because they make it look so "Easy...". Perhaps you own a service and repair firm that specializes in plumbing, electrical, HVAC, or maybe a handyman service or someone who does small construction projects that last from a few hours to a few days and you only need to give your customer or client one invoice? 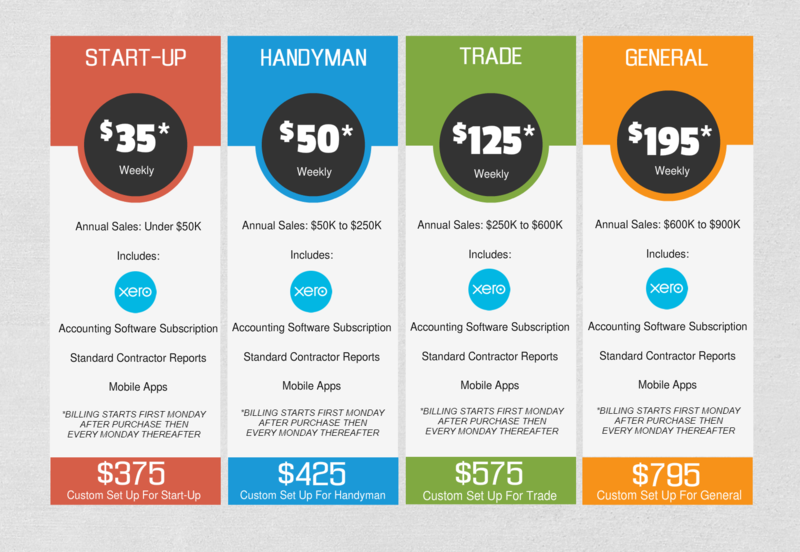 If this describes you then perhaps Xero Accounting Online is a better fit for you than QuickBooks. If you are a new company just starting out if you qualify we can set up your company on Xero Accounting Online and give you 30 days of Xero Accounting Online for FREE so you can find out if Xero is right for you! We are also pleased and honored to let you know that we recently received an award from Xero. We are extremely grateful for the recognition of our work and will continue to provide value to our clients by providing Xero accounting services.